Till last decade, the modus operandi of foreign companies which want to have business presence in India was opening an Indian subsidiary, Branch office registration in India and Liaison office registration in India. Further, whatever profits were earned by these entities were taxable in India since they have business presence in India. However, with the penetration of internet and digitzation, all over the world new business models of conducting businesses have emerged, wherein one company located in say South America can provide services to Indian customers and receive payment without paying any taxes on same. Now, in order to do business, there is no need to open wholly owned subsidiary in India by foreign company and they can provide service over internet without having being taxed in India. This has been an area of concern for not only India but most of the nations and same formed part of discussion in OECD and G20 Base Erosion and Profit Shifting. However, with the latest announcement in Budget 2018, India has become perhaps first country to address this problem and shown some intent to tax aforesaid digital business transaction by making amendment in section 9 of the Income Tax Act. Previously also an attempt has been made by India by introduction of equalization levy @ 5% however it was only restricted to those companies which were providing online advertisement services without having any presence in India, however, with budget 2018, government is planning to make amendment in section 9 whereby any nexus with India of foreign company would make it liable to pay taxes in India. In this way, India can actually take a lead in world by outlining a proper structure for taxing digital entities which do not have physical presence in other countries but provide services to large consumer base electronically. This taxing of digital companies will not only affect big companies but also small companies which are technology driven and have operations in India. Over the years, India has become a large consumer market with approx. 90 crore mobile users and internet facilities which attracts more and more digital companies to provide service in India. The government of India is planning to make amendment in section 9 of the Income Tax Act, which provides for definition of “business connection” wherein “significant economic presence” in India shall also constitute “business connection”. 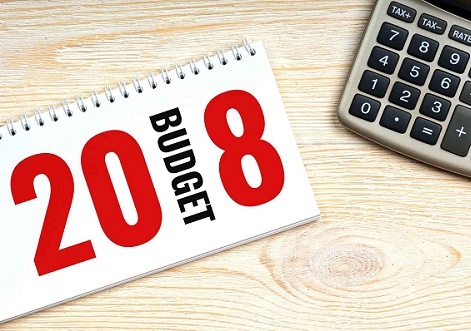 The budget document provides that “significant economic presence” could include download of data or software in India or interaction with a prescribed number of users. One of the challenges in taxing the income of foreign companies would be to how to attribute their income and profits from India. This will be a tedious task. Indian companies are not averse to this proposal by government but they want the tax rate which should be competitive and provide level field in comparison with other countries.